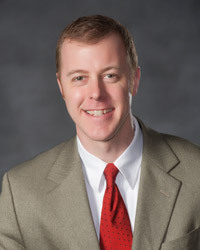 Brian McNeill joined the University Public Affairs staff in January 2014. As a PR specialist, he covers the College of Humanities and Sciences, the Department of Business Services, the School of Social Work, the L. Douglas Wilder School of Government and Public Affairs, School of Education and VCU Libraries. Prior to joining VCU, he was director of media relations at the University of Virginia School of Law for two-and-a-half years. Before entering higher education communications, he was a reporter at the Charlottesville Daily Progress, covering Virginia politics, higher education and business. He also worked as a reporter at SNL Financial, covering the media and communications industry, as well as at the Connection Newspapers in Northern Virginia, where he covered politics and education. He received a degree in communications, with a focus on print and online journalism, from Virginia Tech in 2003.